Next to quilting, my favorite summer activity is to swim! So I made myself a mini quilt using my new chunky alphabet! 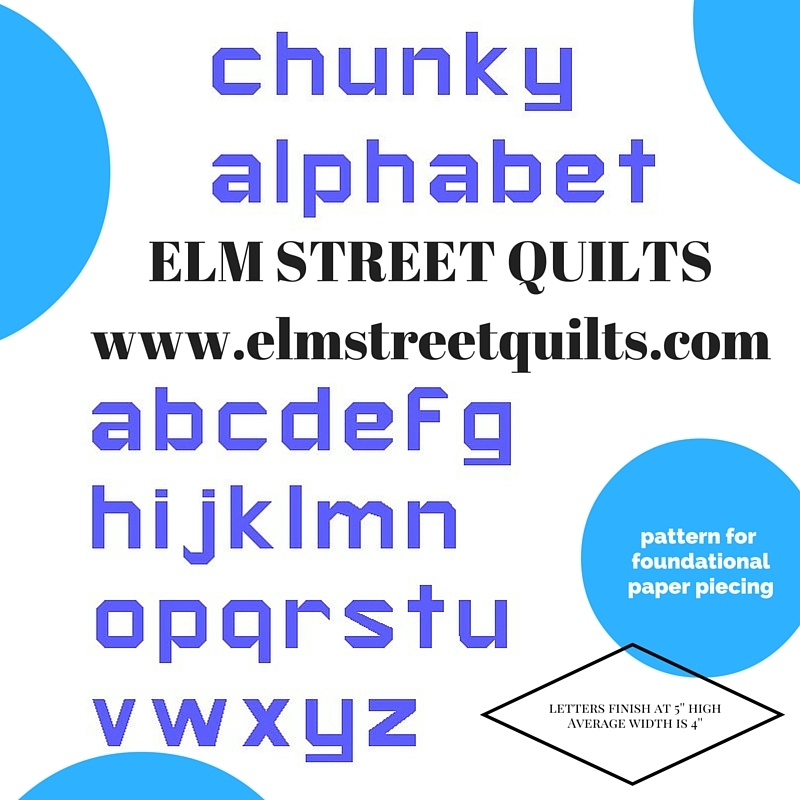 Excited to announced that my Chunky Alphabet is now all 26 (lower case) letters strong, all foundation paper piecing!! 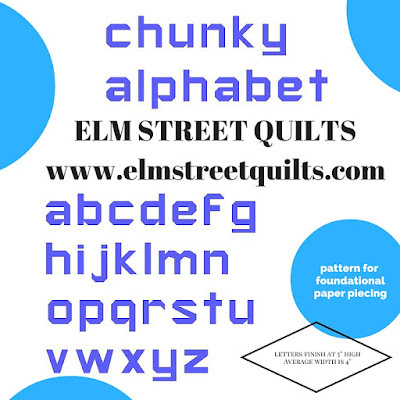 Visit my Craftsy store and get your very own copy of the Chunky Alphabet! Foundation paper piece patterns can be found two to a page - click to see sample photo. I'll be linking up with Finish it Up Friday, Sew Cute Tuesdays, , Freemotion by the River, WIP Wednesday's, Let's Bee Social, and Midweek Makers. I love to swim as well, in fact just came back from the swimming pool. As soon as I get some money I will buy your chunky alphabet, love it! I really love your letters...I've always wanted to make a word quilt! And they are paper pieced!!! LOve all the chunky letters. These will be so much fun to play with. Fun, fun, fun! I couldn't resist purchasing the patterns! Thanks! Thank you, Patty, for making the entire alphabet! I purchased mine from Craftsy tonight and tomorrow I am featuring your QAL and my completed wallhanging. Your instructions were the BEST I've seen. Great QAL!! !